Maxigas is a postdoctoral researcher in the CareNet group at the Internet Interdisciplinary Institute, Universitat Oberta de Catalunya. 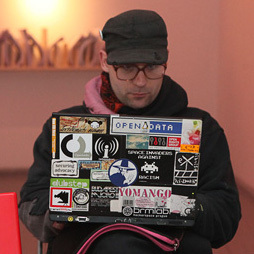 His current research lines are European Hacking History, the social history and contemporary use of the Internet Relay Chat protocol, and the role of classic cybernetics in shaping computing cultures. Maxigas personal website.